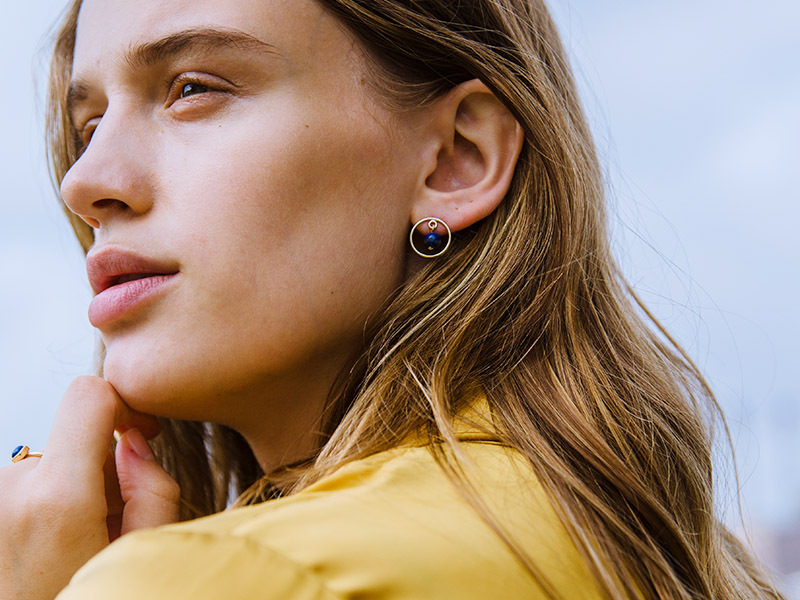 Extravagant, with amazing stories and downright gorgeous, some jewelry pieces are hard to forget. There are a lot of famous jewelry pieces in history. Some of them have been worn by kings and queens while others belong to museums. Whatever the case, this list of famous jewelry is proof that gemstones and intricate designs have always fascinated people. If you want to discover Ana Luisa’s top of famous jewelry in history, read further. We promise an entertaining article where you will discover interesting facts. Cursed histories, passionate romances, and ancient myths are some of the words that can describe these jewelry pieces. Of course, there are more famous jewelry pieces than the ones we selected. But do they have more interesting stories? We don’t believe so. You see, in this article, you will discover interesting facts about some of the most coveted jewelry pieces. Stay tuned. 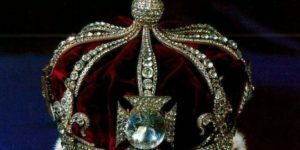 The famous diamond that sits atop the coronation crown of The Queen Mother, Queen Elizabeth, is claimed to be 5,000 years old. Many experts have said that this diamond, that is now weighing 109 carats, used to be 793-carats. It traveled the world for 5,000 years until it arrived in Europe in the hands of Queen Victoria. It remains in the possession of the British royal family until this day. Even though the same suggest emerald, we are actually talking about a diamond. 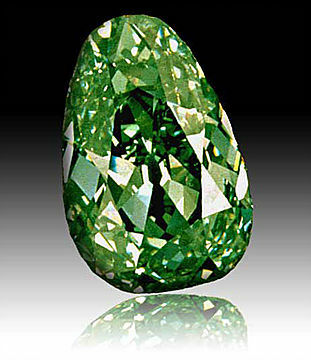 Yes, a green diamond of 41 carats. The Dresden Green is the biggest green diamond in the world and its history goes back to the early 18th century. Friedrich Augustus I of Saxony purchased this diamond hundreds of years ago. 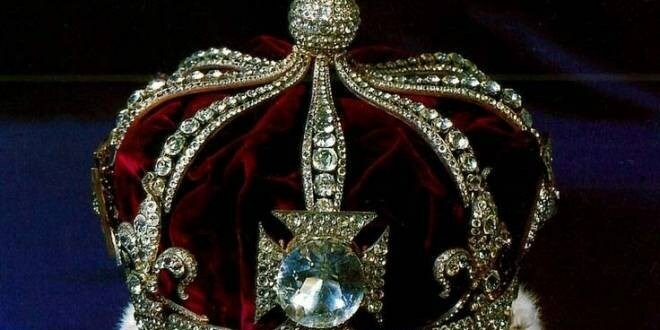 As opposed to the Koh-I-Noor diamond, which you cannot see unless you ask Queen Elizabeth to let you borrow her coronation crown, the Dresden green is available to the public in the Dresden Castle in Germany. 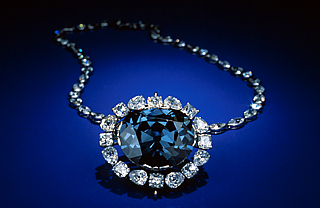 Contrary to its beautiful name, the Hope diamond has a supposedly cursed history. As the story goes, a man named Tavernier stole a blue diamond of considerable size from the forehead of an Indian idol. Then, after selling it, the man was torn apart by wild dogs in Russia. However, this famous jewelry made its way to King Louis XIV. Then it was passed down from generation to generation until it reached King Louis XVI. But then, the French revolution happened and King Louis XVI was beheaded. Long story short, after it traveled to U.K., the Hope diamond arrived in the U.S. where the curse made other supposed victims. Nowadays, this gorgeous 45-carat blue diamond can be seen in the Smithsonian Institute in D.C. This 563-carat star sapphire is not only gigantic. It is also very old, as in 2 billion years old. 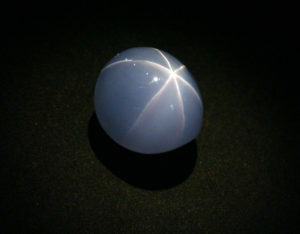 The sapphire has a very unusual look as it features stars on both sides of the stone. It is currently inside the American Museum of Natural History in New York City. The beautiful actress who became royalty received an emerald-cut diamond engagement ring which she wore all the time. You can spot her wearing the ring in the film High Society where she played along Frank Sinatra and Bing Crosby. The value of this famous jewelry piece is approximately $4 million today. 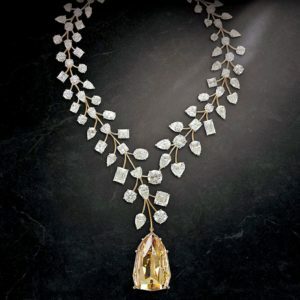 The most expensive necklace in the world, L’Incomparable diamond necklace weighs in at 637 carats. It is worth approximately $55 million, but its price is not the only stunning aspect of it. This famous jewelry piece features a 407-carat deep yellow diamond that is flawless. 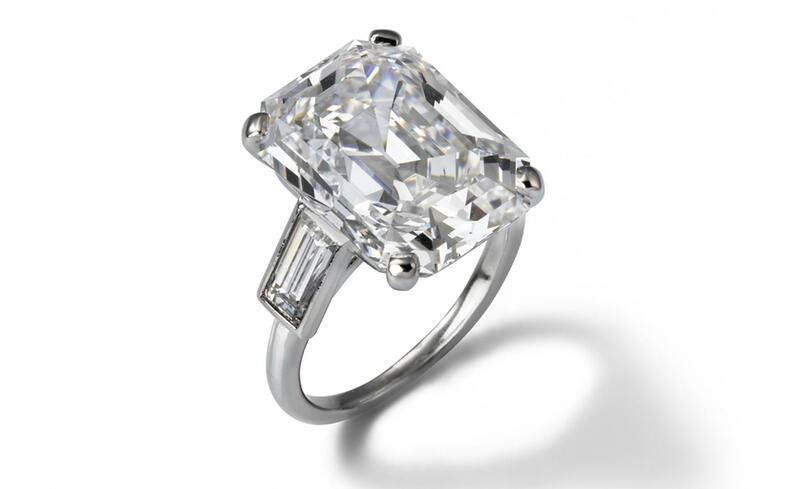 Yes, according to the Gemological Institute of America this gem is the largest internally flawless diamond. And speaking about famous jewelry, Princess Diana’s exquisite engagement ring couldn’t pass unnoticed. Featuring an 18-carat sapphire surrounded by diamonds, the significance of the famous ring has turned it into one of the most famous jewelry pieces in history. Mankind’s history is full of famous jewelry. With deep symbols, exquisite look, and breathtaking stories, most of these jewelry pieces can be seen in museums. Of course, some of them remain in private collections, but we recommend you go see the ones that are close to you. Jewelry can be fascinating and history holds the proof. If you want to find more interesting facts about jewelry, read our other articles as well. 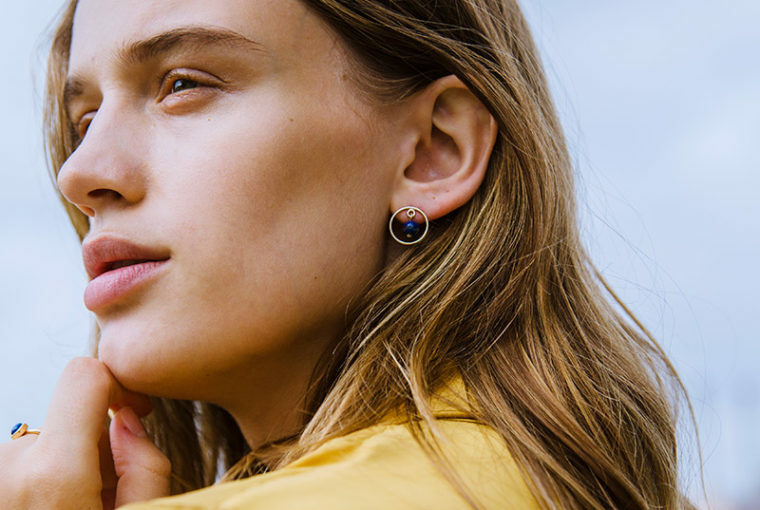 You will discover a lot of high-quality information on Ana Luisa blog, including fashion advice, buying guides and maintenance & care articles. 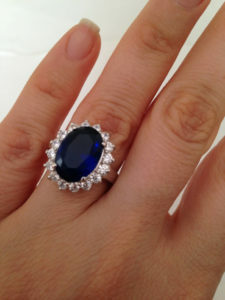 Share our blog with your friends so they too can know where to look for when they want to find out more about jewelry. To view Ana Luisa’s unique fashion jewelry collections, visit our online jewelry shop and check out our limited-edition creations.